Lewis ‘Rhondda Boy’ Rees (9-0, 5KO) was the last Welshman to win in 2013 with a dominant performance last night at Leeds’ First Direct Arena. 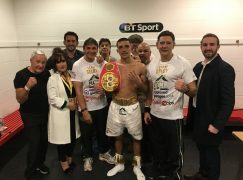 The 24-year-old opened up the BoxNation broadcast against the toughest opponent of his career, Krzysztof Szot and Rees produced his most impressive performance yet, an eight round shut out with referee Michael Alexander scoring the bout 80-72 to the Welshman. It caps off a steady, if not spectacular, year of progress for the super talented Rees who has competed at welterweight (147lbs) this year. It looks as if the former Team GB member will move to light-welterweight (140lbs) in the new year, the weight category where he boxed as an amateur. 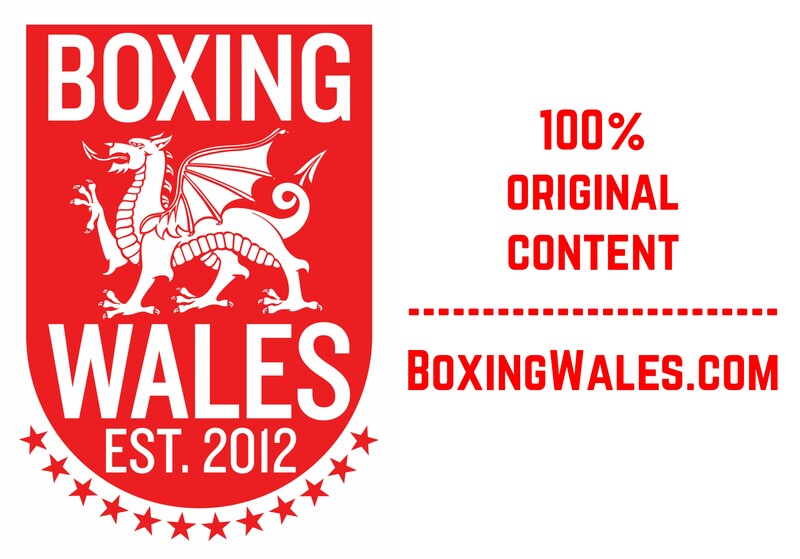 At the level Rees has been boxing at, he’s more than capable of competing at welterweight, evident by the ease in which he won a Welsh title in earlier this year. However, as he steps up in levels, which he will without doubt do, it wouldn’t be wise to give away so many physical advantages and he’d be a danger to anyone on the domestic scene should the move to light-welterweight happen. On the same show, there was no celebration for Newbridge’s Bradley Pryce (34-16, 18KO) in his 50th fight but there was plenty to be proud of in his defeat to Birmingham’s brilliant Frankie Gavin (18-0, 12KO). Pryce, who hardly had a days notice for the bout, produced his best work in the final two rounds of the ten but it wasn’t enough and referee Michael Alexander scored the contest 99-92 in favour of Gavin who will surely go on to compete at world class next year. There’s hardly anyone Pryce hasn’t faced in his fourteen year career and his standard of opposition is better than ever, in his last two bouts he’s faced WBC #1 Sergey Rabchenko and former world amateur champion Frankie Gavin. Three wins in his last eleven bouts suggests Pryce has become a journeyman but he doesn’t fight with that mentality and provides real value for money. Meanwhile, in Spain, it wasn’t to be for Cefn Hengoed’s cruiserweight Hari Miles (9-9, 2KO) who was stopped by France’s world ranked Youri Kayembre Kalenga in the eighth stanza of their scheduled ten rounder. The 28-year-old had seven days notice for the bout but still entered it with every intention of causing an upset and he was competitive throughout before tiring in the later rounds. 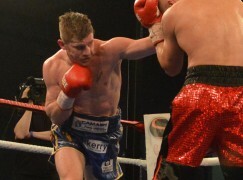 It’s likely that Miles could face Cardiff’s Craig Kennedy for the Welsh cruiserweight title in the new year.